Flight Information: “Steps” Connection With “Stairs”… is ON TIME!!!! Welcome to “flight: Steps with connection to Stairs”. In order to elevate to the next level we must first simply go over the “tread” and “riser”. Please understand the construction and purpose of the “flight”. Vertical distances are bridged together allowing travel to be completed between floors. This link is better known as, a staircase. Which are two or more straight pieces that connect at angles or by taking a step and repeating the previous one(s) just slightly different. The tread is the part where the floor meets your feet; as it is the actual flooring that is stepped on. The vertical part creating space between each tread is the riser. Next in line for takeoff is “nosing” which is the part in which sticks out over the riser yet is also an element of the tread. With every step that is taken there is distance that is being achieved vertically. An easy way of counting steps is by counting the number of risers. Overall, the stairway is a mathematical enchantment of geometry, algebra, in conjunction with measurement. 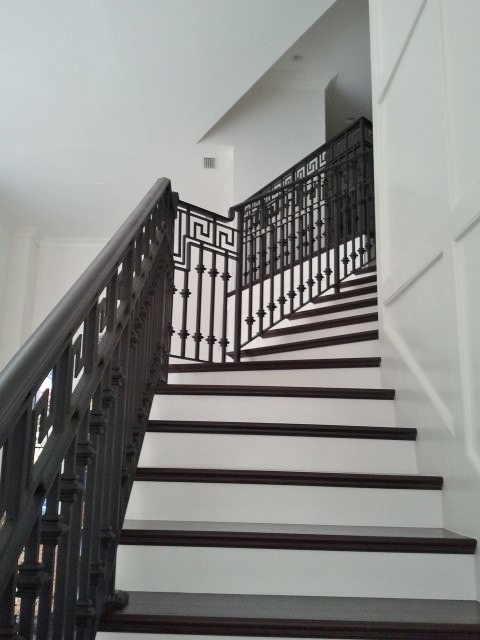 When combined in the proper manner, the design of the staircase is developed. There are many different styles when it comes to the steps in which we take. Some are to be said floating when the riser is invisible, others twist and turn in a delight giving a ninety degree rotation from start to finish. Other types are simple and straight, these are most common in high traffic areas. The stair is complicated and simple but full of detail. The creation of stairs and the architecture styles is endless; especially today with all the creative and innovative advancements in construction partnered with technology. 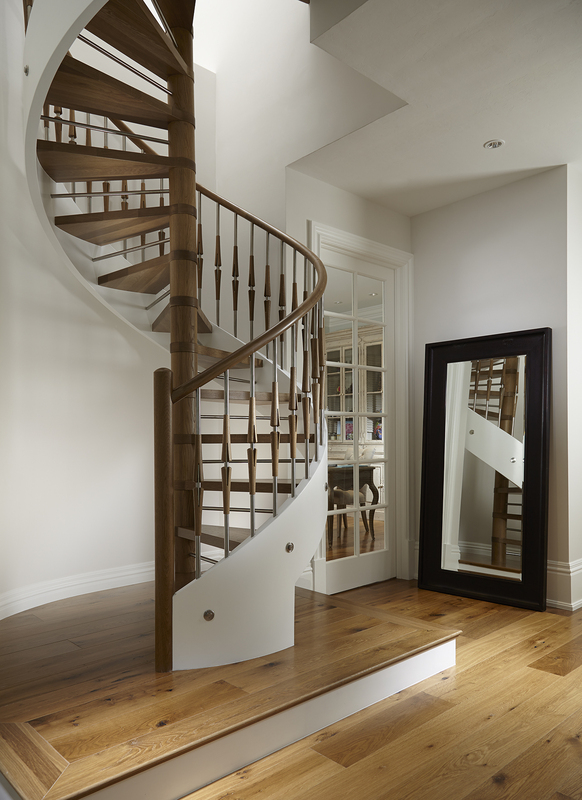 Staircases are works of art that complete two motions: up and down, yet all in one structural component. However, there is still only one purpose that remains despite all the changes in designs, that is: the stairs or steps are a connector to one level to another. They are the links that allow access on a vertical plane. 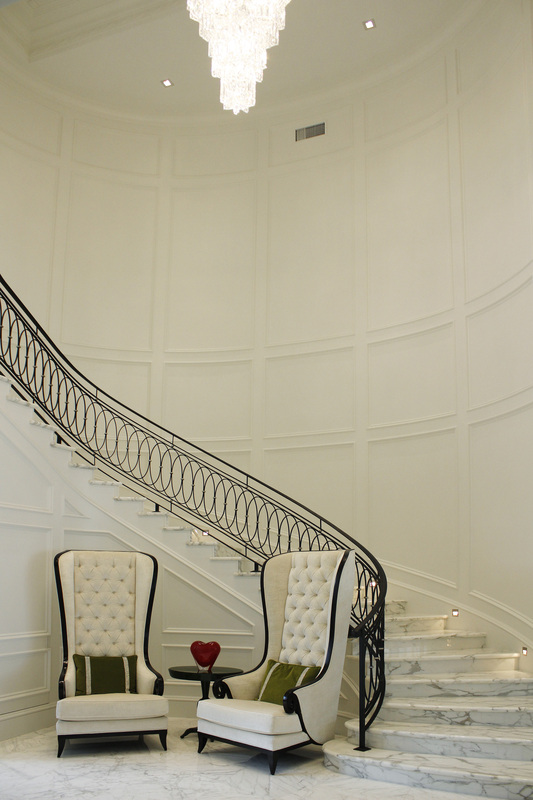 Spiral and helical stairs are characterized by the number of turns that are made. Another direction changer would be the winder, it permits for multiple variations. 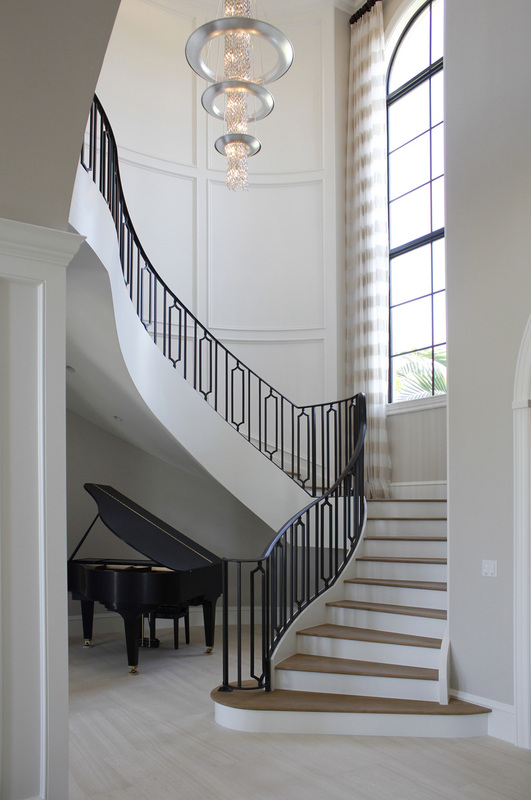 The staircase has become a stylish element in the interior and exterior of homes, buildings, and structures. They add emotion to the décor on many scales. 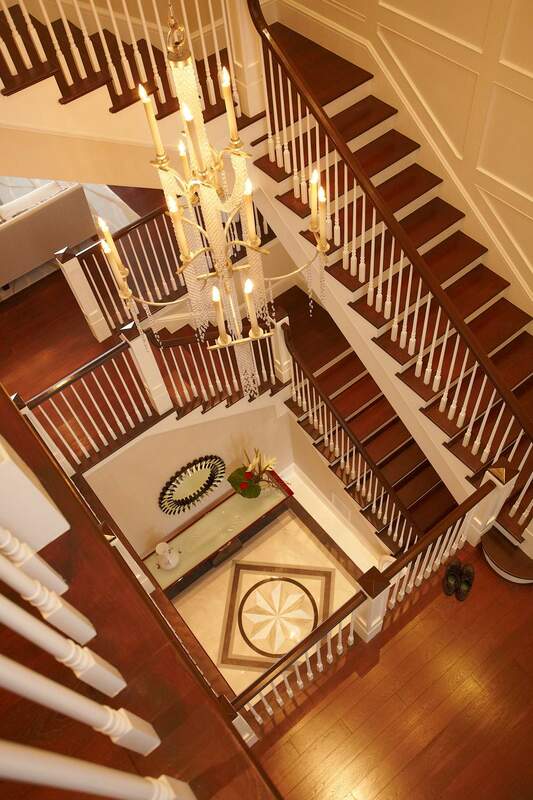 Stairs have become the accent piece or backdrop for many pictures throughout life. Interestingly, the ergonomic relationship was first established by a man named Nicholas-Francois Blondel. He noted in his Cours d’architecture of 1675-1683 that the two times the riser plus the tread would equal the step length. (2 x riser + tread=Step length). This equation is still used today. Uniquely, over six thousand years ago the first stairs are believed to be those of wooden tree trunks which were fixed together. A symbol of religious power, the first granite stairs made a debut in China. Mount Niesen in the Swiss Alps is the home of the longest staircase in the world. The steps come to a total sum of: 11,674. The first steps at the White House in Washington, DC, USA weren’t installed until 1948. Before then there were ramps, pulleys, winches, and ladders. In most castles you will find that the stairs that are spiral always lead clockwise. It has been believed the purpose for the clockwise rotation is because of the knights being right-handed and that would be the hand in which they would hold their sword, leaving the left hand to grab the railing or wall for balance. The earliest temple to have spiral staircase was in Greece and dates back to 480-470BC. Prepare for landing as we come to back to the first floor. Society has used references to steps in metaphors or analogies referring how to live each day. The relation to ascension or the movement of going upward towards is used as measure of success; by the extent of the steps in which it took to get there. Or define the status of one’s position in the world. From the time we are learning to walk we are told to “watch our step” or “one step at a time”. These guidelines to fulfilling a certain goal or purpose are defined by the steps or actions that need to be taken in order to achieve the ultimate goal. Sometimes, there are setbacks, and we may fall back a few steps before we can even think of leaping forward, yet this process always takes us to the next level despite the downfall. Cardiovascular exercise has been achieved by walking upstairs. Most people today would say that by skipping a step it burns additional calories however, it has been proven that taking it step by step and time spent on each step has a greater effect and uses more energy. Downstairs have benefits that are not as exhausting. This direction works, tones, and utilize muscles, tendons, joints, etc that are different from the ones used when traveling upward. It doesn’t matter what way you are moving, there are many positive attributes to taking the stairs. A mis-step is estimated to occur once in 7,398 times and injury on stairs happens once in 63,000 uses. Skipping steps has a notion of being negative. If you skip a step you’re not following the rules. But maybe it should be looked at as bouncing on or over each step. Comparatively like a child skipping. By using the term “skipping” as an action of joy, we really are experiencing life more. It removes the edge by taking the focus off the lack of something or the mistake and allows for another opportunity to fix what didn’t work. “When you dance, your purpose is not to get to a certain place on the floor. Embrace each step you take and remember it’s all part of the staircase of life. . We hope you enjoyed your “flight”.